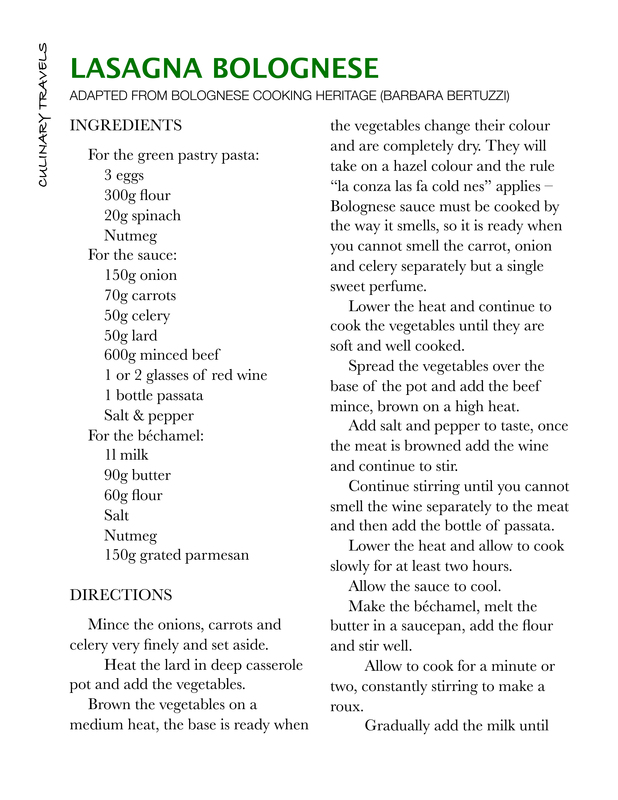 Last Christmas my lovely friend Carlotta from Bologna sent me a copy of Bolognese Cooking Heritage by Barbara Bertuzzi, it really is a lovely book full of history, great photographs and above all stunning recipes. I love books like this that have little quotes and snippets of information by the recipes and notes on variations too. This was one food book I sat down and read cover to cover before even contemplating cooking from it. I am however very ashamed to say that until yesterday I had hadn’t cooked the most widely travelled and famous recipe in the book, Bolognese meat sauce. Why? 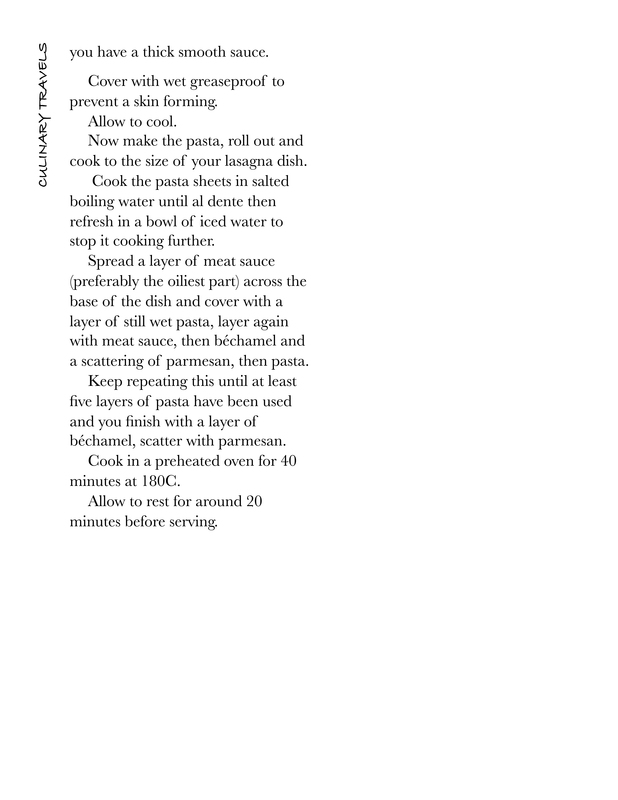 Simply because I feared it wouldn’t live up to my usual recipe of choice – a recipe from Giorgio Locatelli’s Made in Italy: Food & Stories , which is an absolute stunner of a meal. I couldn’t believe how quick and simple the lasagna was to prepare, even the homemade pasta didn’t take so long to do and it was so therapeutic, time to give long slow cooking is required though. With good food so simple and relaxing to prepare why oh why resort to the jars of pasta sauce and ready packaged food? It just doesn’t make sense to me. Home-cooked food not only tastes better, and is better for you but in the long run works out a great deal less expensive too. Ok, Ok I’ll get off my soap-box now. So now to the vital question, how did it taste? Well it tasted better than it looks in the photo above and I really do think the photo looks great (not that I’m blowing my own trumpet or anything, lol). The thing, for me anyway, that makes a lasagna so great is the way the flavours all amalgamate and become one delightful sweet, savoury combination. This version certainly did that, and above all, it stood proud on the plate when cut, a vital point for a great lasagna. The ciabatta on the other hand had nothing quick about it. Taking a two day process to complete the dough meant it had to be well planned out, not something to throw together for a quick supper after work The reason it takes so long is the need for a biga, a biga is a type of pre-ferment used in Italian baking. Using a biga adds complexity to the bread’s flavor and is often used in breads which need a light, open texture with holes. Apart from adding to flavor and texture, a biga also helps to preserve bread by making it less perishable. Time consuming yes, but worth every second all the same. There is nothing at all like seeing what is basically a thick, creamy white gloopy mess grow into a smooth, satiny dough which then becomes one of the most important foods going – a golden loaf of bread. 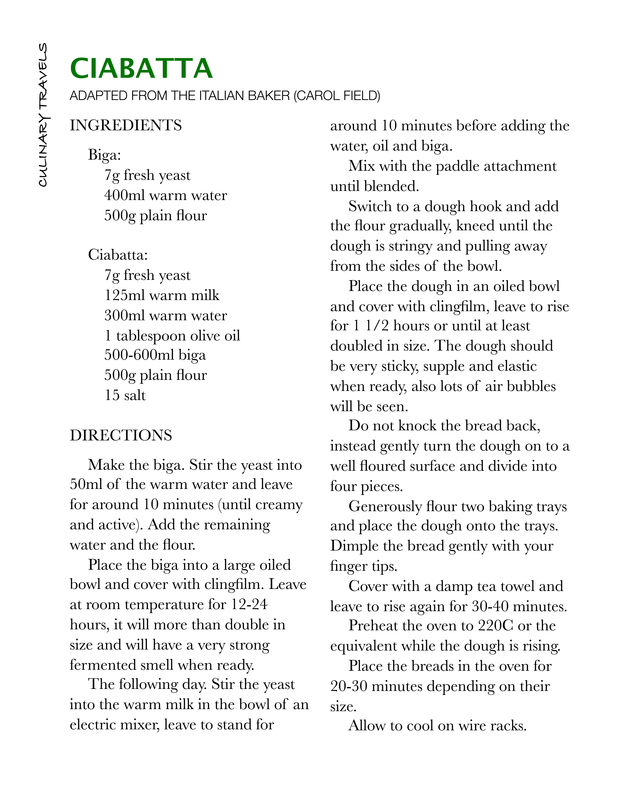 The ciabatta recipe comes from The Italian Baker (Carol Field), although I’ve adapted the recipe to use metric measurements. This is one of my favourite books at the moment, I love her writing style and the style of the book too, very enjoyable to sit and read with a good cup of coffee. It was a scrumptious meal, oh and yes I’d eat it again and again and again, which is probably why I’m having the leftovers for lunch today.